Here is where I plan to Blog Emacspeak tricks and introduce new features as I implement them. Tilden Labrador, a young, energetic male yellow Labrador, has accepted the position of Press/Analyst contact for Emacspeak Inc. --- in addition to his primary responsibility of being a fulltime guide-dog. Hand-picked from an exclusive pool of high-quality caninedates, Tilden brings a large and level head to this position of responsibility. 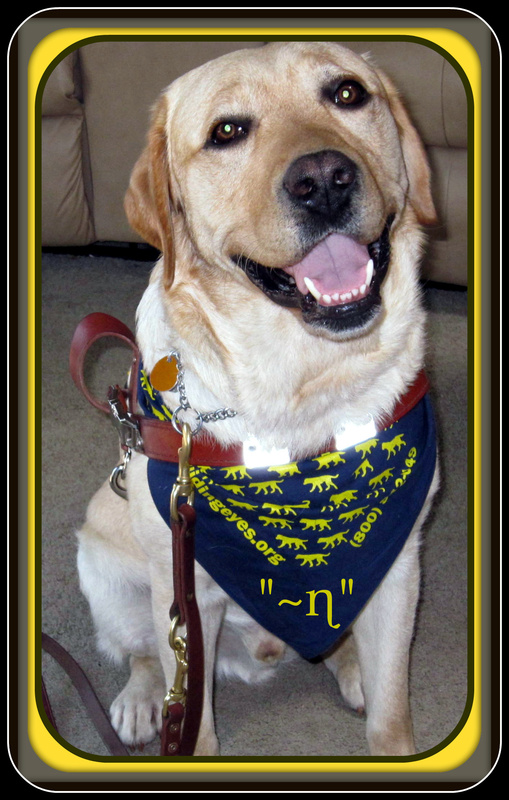 Tilden grew up in Monroe Ct, before going to school at Guiding Eyes For The Blind (GEB), NY. He graduated from GEB's Action program after excelling at obstacle avoidance and path planning in Yorktown Heights, peekskill and White Plains. He rounded out his education with a one-week practicum on the Google campus in Mountain View CA. "On the Internet no one knows you're a dog, leave alone what gender you are". Tilden promises to steer Emacspeak in a manner that would do his predecessors Aster Labrador and Hubbell Labrador proud.